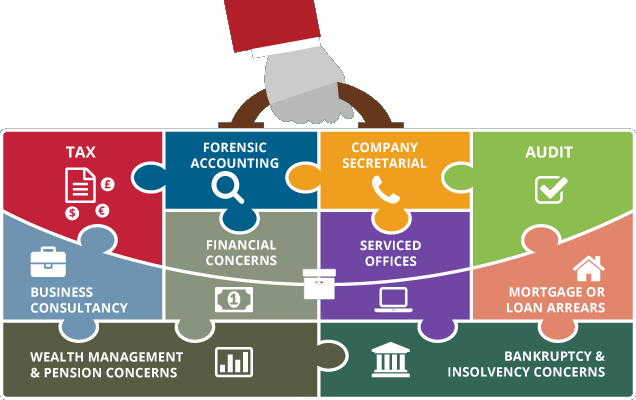 The head of our Forensic Accounting team has over 30 years experience in the field. The head of our fully qualified Forensic Accounting team has more than thirty years’ experience in this speciality. The team provide a litigation support service to businesses and individuals which includes pre-trial investigatory research, leading to the preparation of an expert witness report for presentation at a hearing. The team are all qualified chartered accountants who are committed to maintaining their professional skills to the highest standards. Dissolution of partnership and/or business relationships. Termination of a director or employees involvement in a business. Detection of fraud or other financial irregularities within a business. Determination of loss of profit or income arising from business interruption due to an accident, flood, storm, etc. Divisional /Product analysis including cost, revenue, profit. Identifying the business’s limiting factor and then seeking means of maximising profit with the constraint of the limiting factor. Achieving cost effective solutions for a business facing increasing overheads and/or reduction in revenue stream. The qualifications and experience of the team at CPC Accountants means we can provide expert evidence in a variety of cases in a cost effective and timely manner.